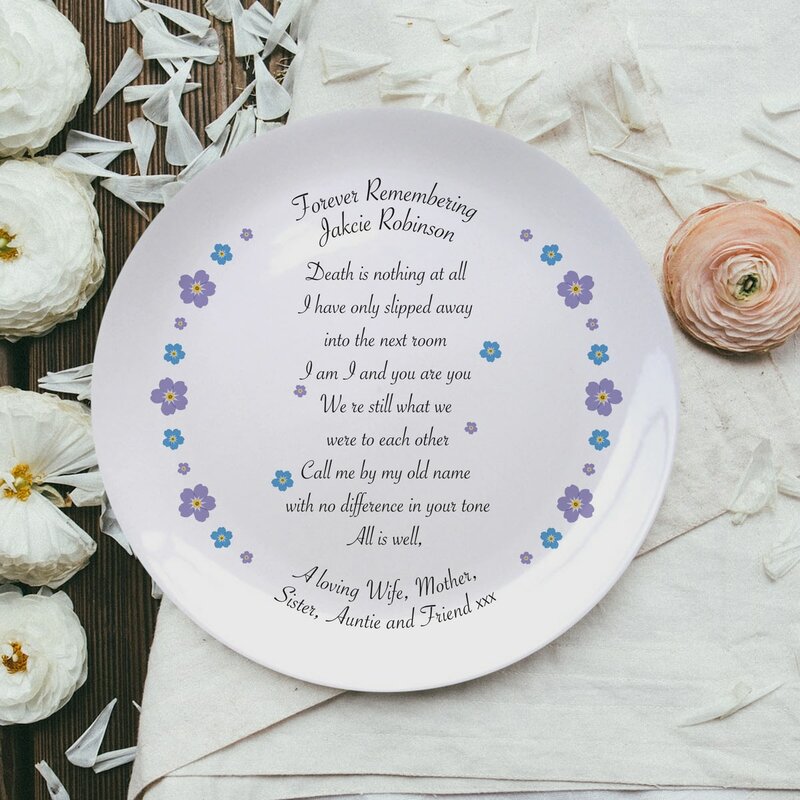 Though they may be gone, their memory will live on and this memorial china plate is a unique and solemn gift to mark their life. 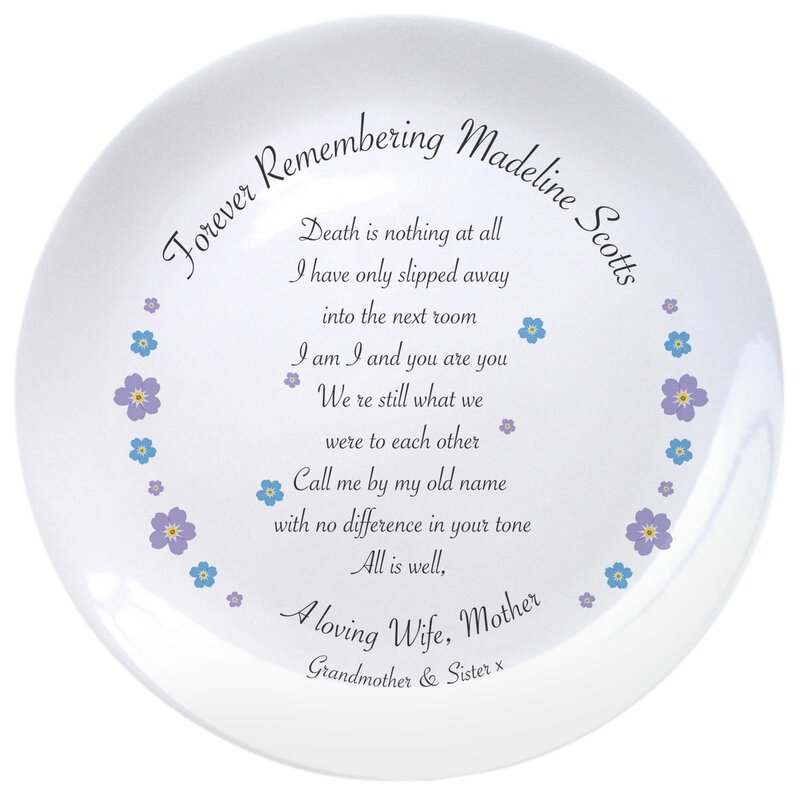 Henry Scott Holland's poem 'Death is nothing at all' adorns the centre of this commemorative plate, and your words are incorporated around the edges amongst delicate forget-me-not blooms. A chic and simple black and white design runs across this beautifully made 8 inch plate, which we personalise by adding initials of your choice. With a baby elephant that's as cute as the recipient, any little one would be lucky to receive this bespoke china plate. This unique gift features adorable bride and groom characters on the 21cm bone china plate. A cute pink rocking horse design adorns this 8" bone china plate, perfect for the birth of a precious little girl. This bone china plate will be perfect to leave out for Santa, and is personalised with your little one's name so he can remember to put them on the nice list for next year.